Daredevil‘s first two seasons introduced most of the major players in Matt Murdock’s life. Karen Page, Foggy Nelson, Wilson Fisk, Elektra, Stick, the Punisher, and even Turk made their MCU debuts on Netfix. But there was one notable absence: Bullseye. In Marvel’s comic book universe, Bullseye is one of the world’s deadliest assassins, and he has an uncanny ability to turn any projectile into a lethal weapon. This season, Bullseye is bringing his talent for death to Hell’s Kitchen, and he’s looking to replace Daredevil on the way! At New York Comic Con, Netflix dropped a new Daredevil season 3 trailer that teased the origin of Bullseye. 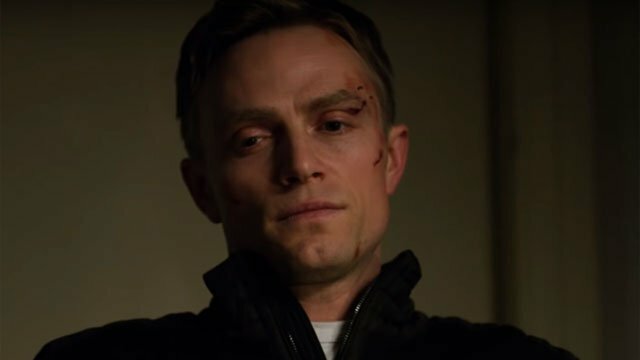 In this incarnation, Benjamin “Dex” Poindexter (Wilson Bethel) is actually an agent of the FBI. His incredible aim is on display early in the footage, but so are his mental problems. Dex may have been a relatively good man at one point, but he’s falling into darkness pretty quickly. Wilson Fisk will apparently be very impressed by Dex’s talent, and he’s likely the main reason that Dex is running around Hell’s Kitchen in Daredevil’s upgraded suit. Dex’s bitterness towards costumed heroes is obvious in this video, but he also seems to relish the chance to be cruel as the Devil of Hell’s Kitchen. More alarmingly, the real Daredevil can barely match him in battle and the “new” Daredevil is menacing Karen. It’s even more ominous considering Karen and Bullseye’s previous interactions in the Marvel Universe. It’s unclear if Elektra will also appear on Daredevil this season, but she’s another character who has a lethal history with Bullseye. And this time, The Hand isn’t around to provide any resurrections. Daredevil season 3 will premiere on Friday, October 19. What do you think about the first glimpse of Bethel as Bullseye? Take aim in the comment section below!